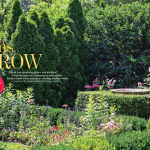 Troy Rhone planned cozy patio seating amid natural surroundings in this beautiful garden for Candy Meyerson. 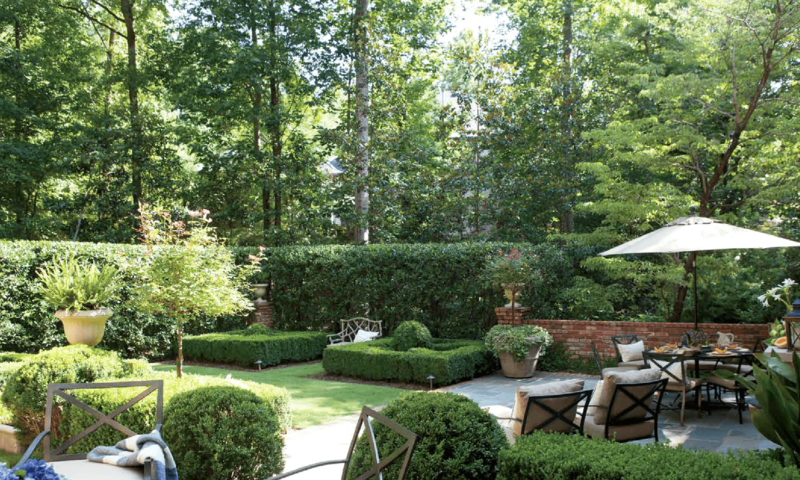 This unique garden design perfectly takes advantage of the Alabama setting, providing privacy while feeling spacious. French doors link the home’s inside to the outdoors, creating a wonderful harmonious flow. The entire garden is divided into a central lawn and a series of patios. The newly enclosed garden is expanded with a hedge of ‘Mary Nell’ holly along with figs that creep up the brick walls. 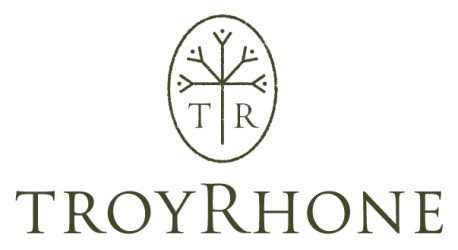 Tiny boxwood trees make up the majority of the landscape design plantings. Bilevel patios are edged with the same bricks Troy’s team also used to create the retaining wall. 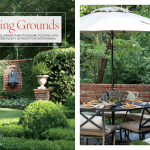 An elegant fountain and a pair of dining areas complete this serene garden scene. It’s an idyllic hangout space, perfect for sharing with family or friends. Whether hosting a cocktail party, a large crowd, or an intimate meal, the area feels spacious yet intimate. 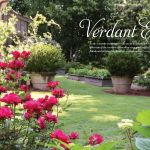 Read the full article “Gathering Grounds” in Southern Lady magazine, May-June 2015 edition.